Or Cristodegliabissi in an other name, a two and a half-meter statue at the bottom of the Mediterranean sea. 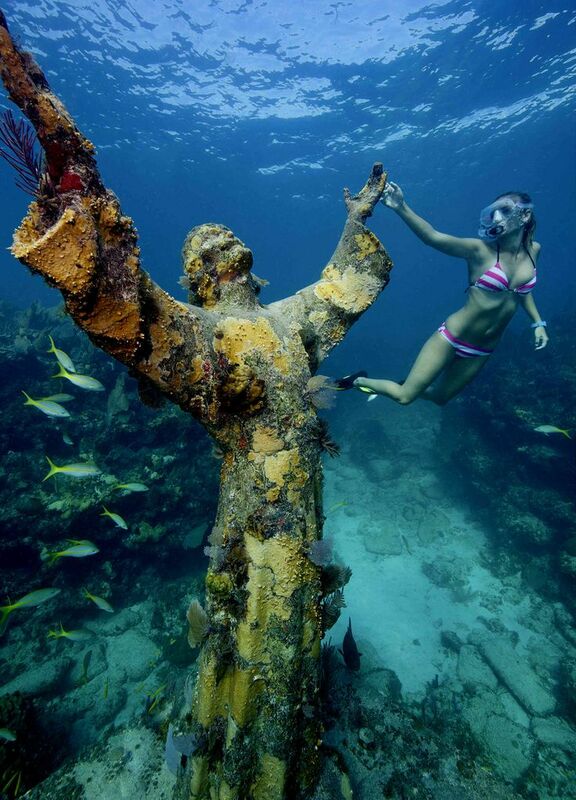 The statue was placed under the water in 1954, in memory of DarioGonzatti, who died in 1947 during diving. The Depth of Christ is located in the San Fruttuoso seafront in Italy, Liguria. The statue was six years old this year, and in 2003 it was pulled out for a quick restoration, so that it did not fall apart completely. One arm had to be repaired because an unguarded boat had broke it down successfully. With an anchor.